Branding starts with logo designing and other graphic elements. That being said, it’s more than just the aesthetics. What comes into our mind when we think of a particular brand? Our own experience. Good branding will result in a better customer experience. The more satisfied a customer is with your brand, the higher is the chance that you’ll retain them. If you don’t invest in branding, you’ll likely miss out to competition. From Google’s multicolor logo to McDonald’s golden arches, you instantly recognize the business. This only becomes possible when you first create an identity. If you’re new in an industry, you will have to establish your identity to make a place. You can achieve this through logos, other design elements or a well-designed website. This helps represent your brand and professional values, something a customer can easily identify. As we mentioned above, various brand elements improve recognition of your business. If a customer comes across your brand a few times, they will learn to recognize it. This is why your branding should be based on something easy to remember. And it’s not only achievable for big brands alone. Take example of HostGator, a hosting service provider which is recognizable through its blue and yellow alligator symbol. Other examples would be Apple’s partly eaten fruit, Samsung’s and LG’s affiliation with blue and red colors, and Wikipedia’s ‘W’. Logos, colors, fonts, letters, icons, and images all help affiliate marketing materials with your business. If you’re publishing, selling or giving away promotional items, your brand can enhance your efforts and improve sales. This can help you gain new customers as well as develop trusting relationships with the existing ones. If you don’t know where to start, color should be the first thing to decide. 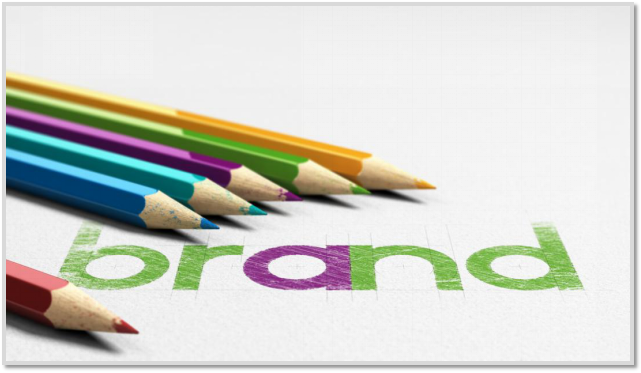 According to research conducted by Loyola University, color can improve brand recognition by as much as 80%! A brand is built on trust and credibility. It’s important that your business has a consistent and professional appearance. This will help develop a trusting relationship with your customers. These emotional reactions result in snap judgments. If your business looks legitimate and reliable, it will increase your sales. This directly relates to financial value and an increase in economic assets. A little time and efforts is all you need to improve your branding. It can take your company to newer heights. Make sure you partner with a company that can offer expert web designing and graphic designing services. We recommend iKandy for their unique and innovative approach to marketing. Get in touch with them today.